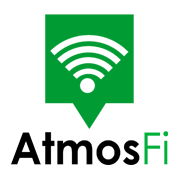 AtmosFi is a start-up company co-founded by Temple’s very own Ryan Oliveira and David Dupell. The company is focused on helping local businesses build stronger relationships with their customers through a creative use of WiFi connectivity. Data is captured when customer’s connects with the business’s WiFi internet, and the information is later analyzed to help business owners efficiently and effectively market to individual customers. During my internship with AtmosFi this summer, 2015, I hope to enhance my sales, account management skills, and data analytic skills. This experience will undoubtedly give me a chance to do some hands on training with data analytics and improve soft skills such as communication. I will be creating sales lead, managing and monitoring customer accounts, and compile data analytics reports for customers.